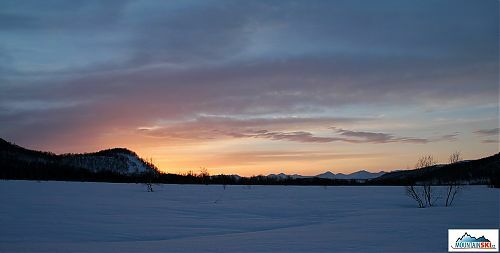 Вулкан Бакенинг is a classic cone-shaped stratovolcano with a base diameter of about five kilometers. Its grandeur compared with the surrounding peaks emphasizes that its relative height is more than double. When viewed from the top the one is sure that its neighborhood is nothing higher. Bakening was first described in the eighteenth century. 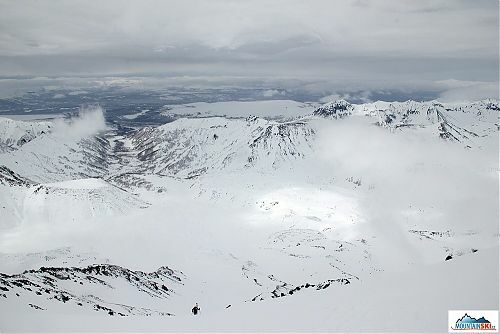 Previously, he was called Top of Kamchatka, because there are starting three biggest rivers of Kamchatka – Kamchatka, Avacha a Bystraja. 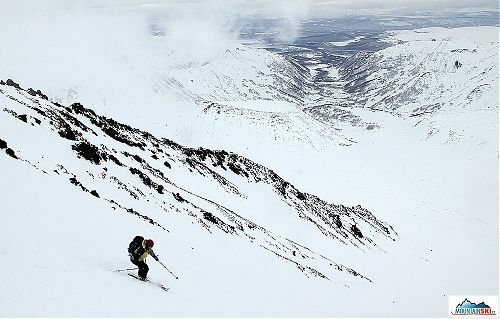 There was already (besides the distance from standard airports) done heliskiing at its slopes, and its surrounding is popular for hiking in the summer time. What's more, there is still only a small amount of tourists. 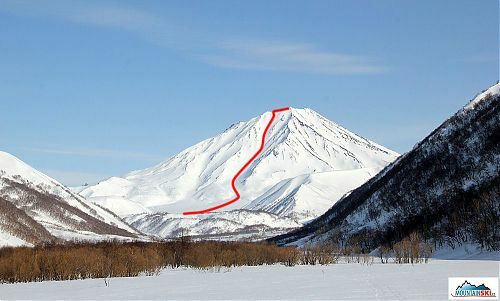 It is possible to get to the are of volcano Bakening (2278 m) je by the main north-south road through Kamchatka – from Petropavlovsk-Kamchatskij to Milkovo and followingly to the north. 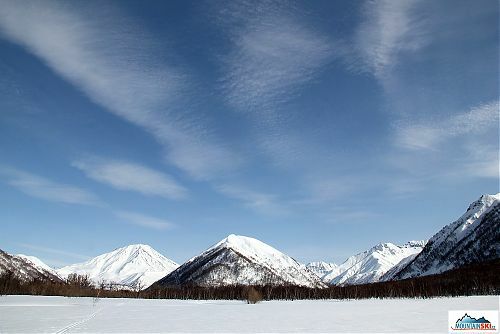 There is currently asphlast at the first 150 km; rest of the road is „Kamchatka's stan­dard“ – rocks & stones. We started from the road in the afternoon and we had to move almost on the flat surface partially covered by trees towards Bakening (2278 m). We set up our camp just next to river Pravaja Kamčatka. The weather was excellent and slopes of Bakening (2278 m) were nicely lighted by sunset. Moreover, we made also quite big fire here. The weather was spoiled during the night, it was windy and foggy. Uphilling towards Bakening (2278 m) we had to cross the river 2–3 times. Somewhere it was easy due to the snow bridge, somewhere not. 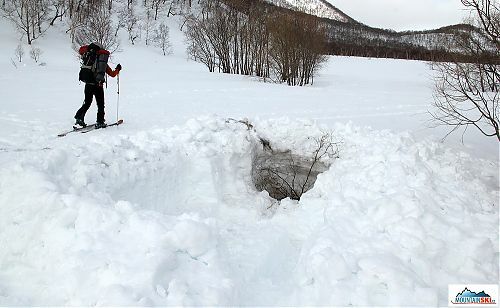 It appeared that the climb directly to the main slope of the volcano from the valley of the river Pravaja Kamčat will not be possible as a results of possible high avalanche danger. 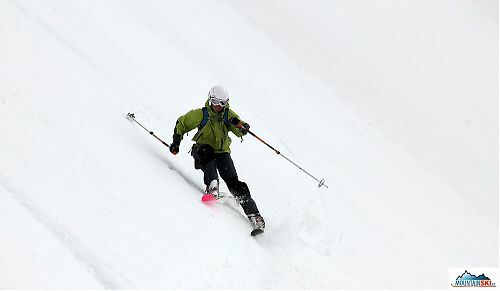 We thought that the better route will be S-twisted couloir to the left of the slope. 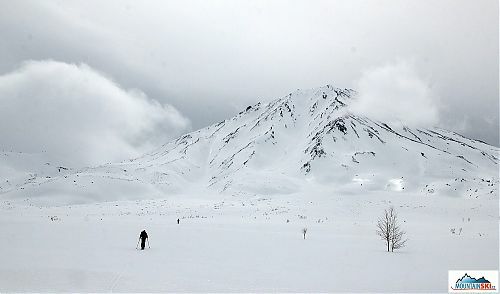 After we got across the plains to the volcano itself, we decided to climb the main slope as the conditions had looked better than from a distance. Majority of our group uphilled up to approximately 1730 meters, only Pažout & Katka continued with ski-crampoons up to altitude little over 2000 meters. 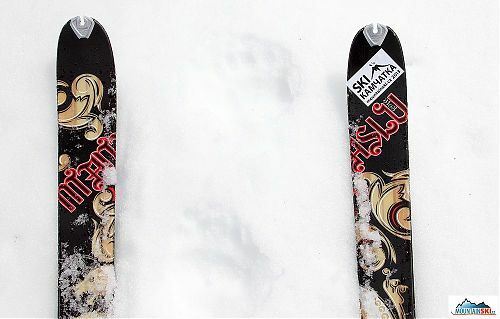 The last 200 altitude meters looked as big snow slab, and it was confirmed by digged snow-profile stability test. 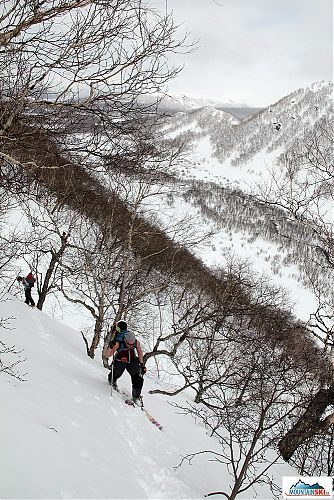 Thus, We climbed rest of the slope very carefully. In the area of summit's ridge there was extremely strong wind & fog with combined with clouds. 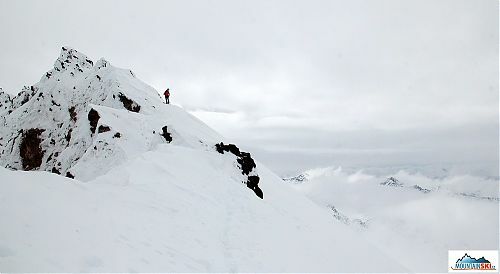 Thus, only Roman continued towards the highest point, others had remained some meters below just next to expected downhill route as visibility had become worser and worser. Finally, upper part of the downhill was in diffuse light with poor visibility. 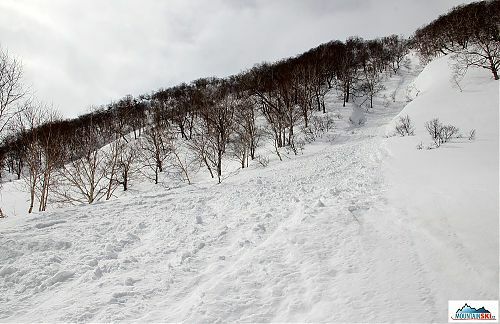 In the lower part of the slope, there was better visibility, but on the other hand, the snow quality was worser. 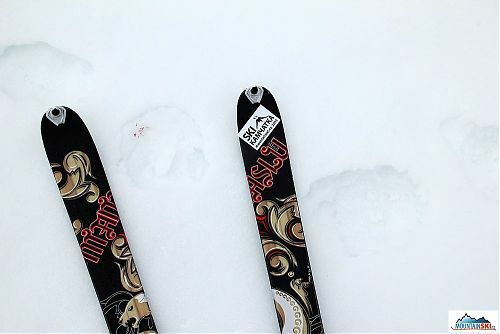 This was also the reason, why I had chosen part of the skiing via old avalanche. We skied down to our camp, where there was digged a big living room in the snow (heigh of the snow was around 210 cm around our tents). We also made fire-place in the snow… and evening could start. We climbed twice route to the summit of Palec (1225 m) in the next day. It was Czech & Slovak's first climbs and downhill, resp. according to known data, there was none with skis on this summit yet. Both ski descent back to the valley were really marvelous. 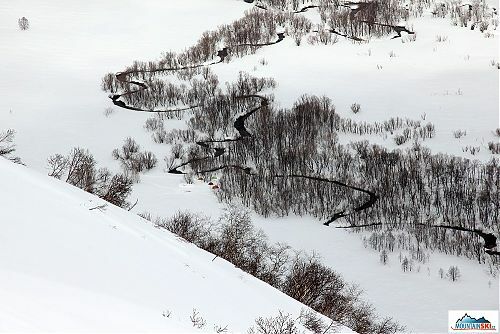 The area of volcano Bakening (2278 m) is ideal both for winter and summer activities. 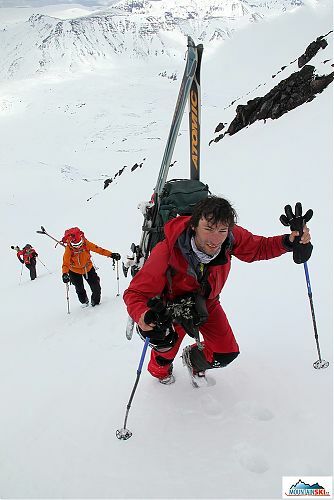 There is easy access from the camp not only to the summit of volcano, but also to many other lower peaks around. There are two possible dangers in this area – snow avalanches and in the spring time bear, that are awakeing – we saw fresh tracks by 2–3 bears.